While in Upstate NY over the weekend Lynn and I visited the Upstate Distilling Co. while in Saratoga Springs. 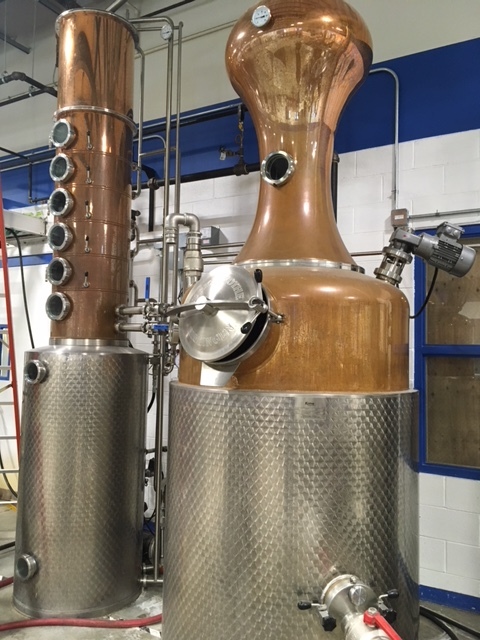 The Distillery, just over a year old is the first Distillery to open in Saratoga Springs since Prohibition. We met UD owner Ryen Van Hall who led us through a tasting of the Distillery's offerings. Upstate Distilling uses only organic New York sourced ingredients (even their barrels are New York sourced). 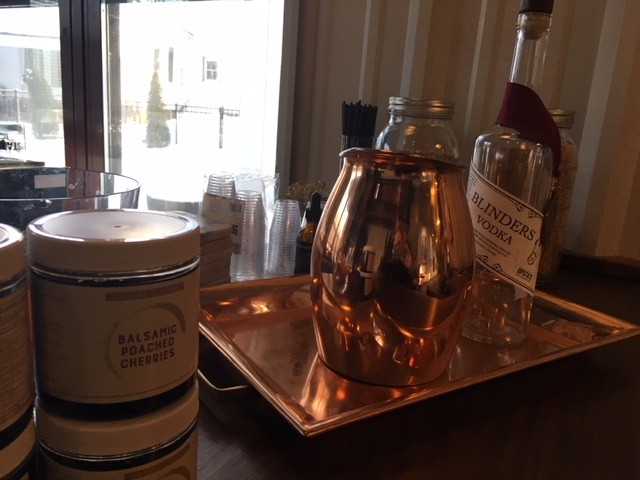 We were especially impressed with the rye whiskey, which, as explained by Mr. Van Hall, was a big part of Pre-Prohibition distilling in New York State. We took home a bottle of "Ryen's Rye" which was the best whiskey we have had. It was a great tonic to the bitter minus 10 degree weather in Upstate.